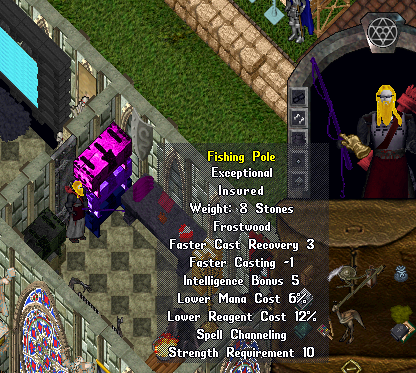 Pigments can now be used on the following artifacts: Conjurer's Trinket, Conjurer's Grimoire, Conjurer's Garb. We look forward to the added color in the world of Demise! Nicinha, hrs024, Will-twins and 12 others like this. Selene made me do it. LEAD, Nicinha, Will-twins and 4 others like this. tank, DG and Maloskies like this. excellent update! will certainly solve the problems in PVP and heard all complaints of bugs and expoits! What matters is a colorful robe! Next week’s patch will be an OSI casting trial period limited within the Felucca facet. Stay tuned boys, PvP revitalization is in the works! Thank you and great job on the progress! - @Eos & Larson! YOU FORGOT THE QUIVER OF BLIGHT OMG! alllex, The Silvertiger, Ajani and 1 other person like this. Now I have 2 ds fishing poles! and 5 chests! Praise the staff!